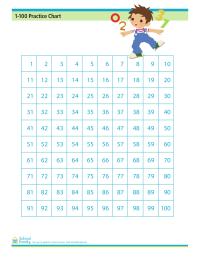 This chart, numbered from 1-100, allows your child to practice basic number counting. 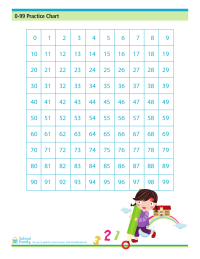 This chart, numbered from 0-99, allows your child to practice basic number counting. This customizable pdf lets you type your child's name into the form and print it out. The name will appear in light gray text, which your child can then trace over.